A woman undergoes voluntary HIV testing. Organisers say the health camp aims at giving back to the community. Courtesy photo. KAMPALA–Health Advocacy Group (HAG) in partnership with Kampala International University (KIU) have organised a three-day medical camp slated for September 7 to 9 at the university’s main campus in Kansanga a Kampala surburb. The event will start at 9 a.m. daily and close at 5 p.m. The free health camp will bring together health sector players health insurance service providers who will give free services to the public. The three-day camp running under the theme “Involving youth for quality health care”aims at promoting healthy lifestyle choices like regular medical checkups, cancer screening and health-seeking behaviour, among others. Emmanuel Odulu, an official from HAG, called upon the private sector, media, NGOS, medical insurance service providers, stakeholders in the health sector, policy makers and the general public to support the cause, which he said aims at reducing the death rate of Ugandans through preventive mechanisms. ‘Prevention is better than cure. We need a healthy and productive population and this initiative is part of efforts aimed at achieving this,” he said. He said the camp will be an annual event and will always be geared at giving back to the community through providing free health services not only to KIU students but also to the communities around. It will also educate the public on health needs and increasing the number of people with skills, knowledge and capacity to protect themselves from HIV and related illnesses. Participants at the health camp will be encouraged to donate blood to help save lives. Activities at the health camp will also include voluntary HIV counselling and testing, cancer screening, blood tests and vaccination against hepatitis, dental care, eye care, family planning services, diabetes testing, nutrition and lifestyle disease check, among others. Recent reports from the Health ministry on non-communicable diseases indicate that there is an increase in the prevalence of hypertension, high blood pressure, hepatitis, cancer and other preventable diseases. 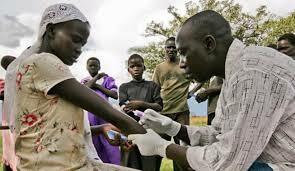 According to a World Health Organisation report released in 2014, non-communicable diseases account for 353,000 (27%) of the total deaths registered in Uganda annually. Of these, cancer contributes 17,650, an equivalent of 5 per cent annually.